Because of all the things that are happening this month an update about just the beginning of October. Enjoy reading about what I call an unforgettable week. According to the people who went on an international student program before, the month October would be the month in which the Canadian culture and the Nova Scotian lifestyle start to feel as your own and common. You are here for a month already, so you start to find out how the school works, what places in the city are interesting and where you can get nice food. 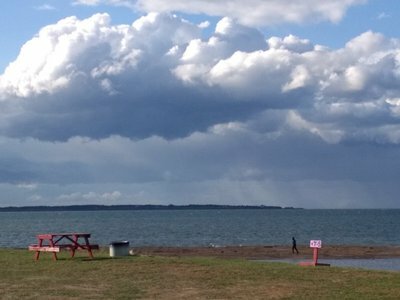 The first two weeks of October were two weeks full of extremes, with as well very traditional things, as the most unexpected adventures that make my journey unique. The first week of October was for myself one in which I had to take rest from an incident that happened the week before. I had to stay in bed for a week because of an unlucky collision during a soccer practise. 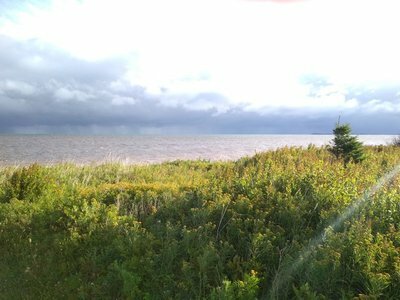 This was of course not how I expected the start of October, but it gave me the opportunity to see a total new part of Canada and its people. I had to pay a visit to the doctor and one thing I recognized was that he spends a lot time per patient. Just like all the Canadians, very interested in my story and why how I like it so far over here. Luckily I recovered just in time, because I had a week with a highlight every day ahead of me. My trip is of course not even at its halfway point, but I can say that this week was, is and will be one of my most exciting weeks during my stay. Friday the 6th of October is the start of this week. With thanksgiving just a couple of days ahead of us, we introduced some special guests who would stay for a couple of nights at our place. The first guest to arrive was Shinji, a Japanese student who goes to university in Halifax and stayed at my host parents for three and a half years. He would stay till Monday to celebrate thanksgiving with us. The second and third guests came all the way from Winnipeg, Manitoba a city 3,7 thousand kilometres away from our place. My host mothers sister and her husband Kelley and Murray, who would stay till the next Friday. Those extra guests at home made it busy for us in a very nice way. There was always someone in the living room to talk with, there was always someone to watch a ball game with in the basement, and there was always someone who you could spent some time with if you wanted to leave the house for a second. 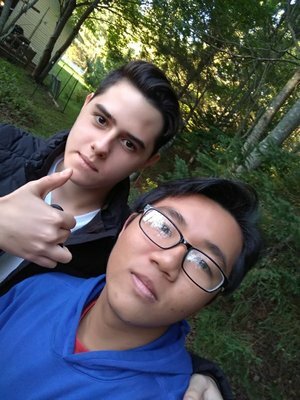 On Saturday those persons were Shinji and my Spanish host brother David. We decided to go to a Tim Hortons to get something to drink and to talk about our common interest, soccer. We had a lovely afternoon and we walked right into something unexpected when we got home. A couple of family members from my host mother came over for a family night. 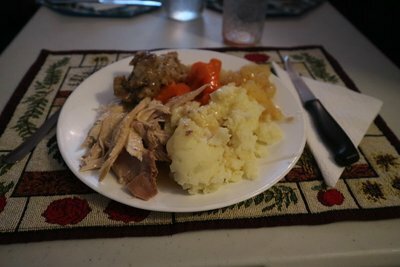 This was not the thanksgiving dinner, but my host father explained to us that it’s a tradition in their family to have a family night on Saturday, a Thanksgiving dinner on Sunday and a left-overs dinner on Monday. It was at that moment David and I knew we had a weekend full of joy and nice food waiting for us. Our family night started with a delicious dinner. Everyone brought something with them, which resulted in a huge variety of food to choose from. There was chicken, ham, a salad and so on. 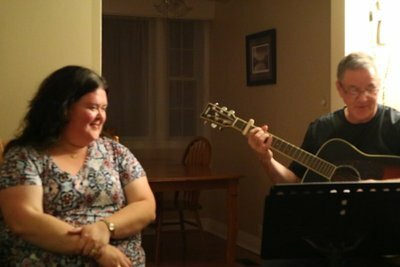 After cleaning up all the dishes, we gathered around in the living room with a cup of tea and a muffin and talked until my host father grabbed his guitar and started playing some classic Nova Scotian songs. Everyone started to sing until late and we all went to home and to bed, satisfied by what was a great night. buy some clothes and to get lunch. We all bought some clothes and went back home. My host grand parents came over and I was about to eat turkey for the first time in my life. 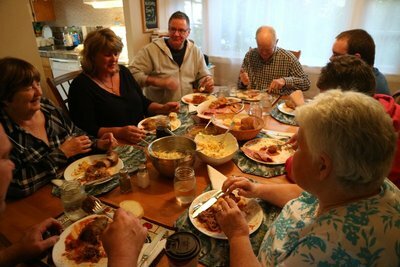 Thanksgiving dinner was again a very special night. The turkey tasted very good and we had a great night with our guests. Thanksgiving is about being around with family and friends, being thankful for the life you have and, of course, having a lot tasty food. 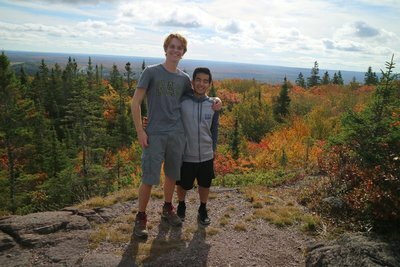 Shinji and I decided to go for a hike on Monday, the day he would go back to Halifax. We felt strong that morning, so we came with the idea to climb Coxheath Mountain. We knew that we were about to do a difficult and tough hike, but we also heard that the view you get when you’re on top of the mountain makes it all worth, especially around this time of the year, when the leaves start to change colours. We made it to the top of the mountain after a rough hike and the view from there was absolutely mesmerizing. Shinji grabbed his bags when we came home and returned back to Halifax. Tuesday was for me a very special day. 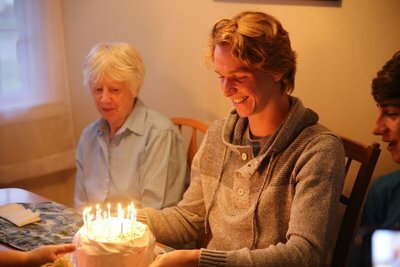 It was the day that we would celebrate my 18th birthday. My birthday would be on Wednesday but we choose to celebrate it Tuesday because of a very tight schedule on Wednesday. More on that later. 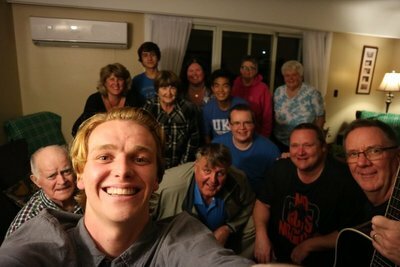 I got home from school and some friends and family of my host parents came over to have supper and to celebrate this landmark with me. It was a very special day and I will never forget this birthday for the rest of my life. The big day finally arrived after a short night. I set my alarm extra early, so that I could call my parents before I went to school. Many people at school knew that it was my birthday and I got happy birthdays from a lot class mates and from my teachers. Me and my team mates from the soccer team got excused earlier that afternoon because we had to hurry to make it to our soccer game in time. We made it and had a comfortable victory, which meant that we finished our regular season with 10 victories out of 10 games, a decent result. I got excused from the game a bit earlier to go home, get a shower and go to my first home game of the Screaming Eagles, the local hockey team. We were just in time for the start of the game and the Eagles won the game, which made my host parents very happy. After the game we went home and I went to bed. A very busy day full of positivity and nice things around me. Thursday was the last day with Kelley and Murray. 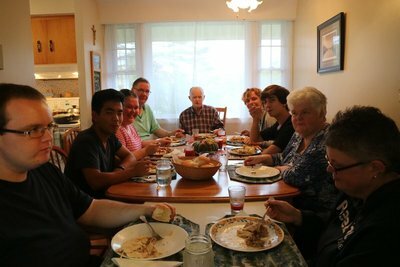 They made a delicious dinner for us to thank us for the hospitality and the good week we had with each other. We also had to pack our bags because our alarm would go very early on Friday. 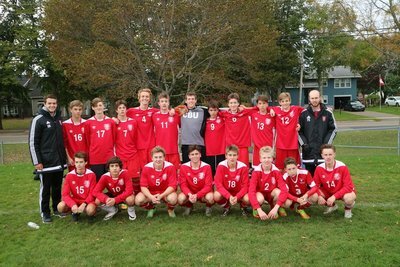 We would go to a high school soccer tournament in Prince Edward Island, the province next to Nova Scotia. 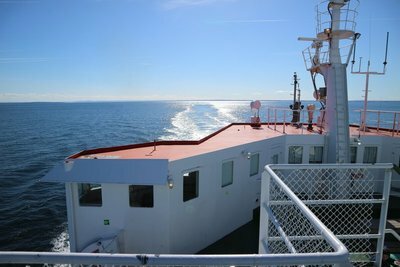 We had to be at school at 7 AM that morning, since we had a very long drive and a trip on the ferry ahead of us. The time flew by with all the stunning nature and the company of my teammates. 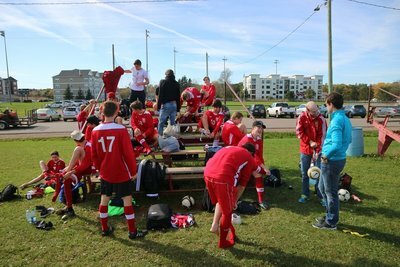 We arrived at the soccer field and our tournament started 30 minutes later. It was an overnight tournament with 3 games and one possible final. We finished second after a couple of very difficult games and we had a great time with the team. My first two weeks of October were two weeks of ups and downs, or let me rephrase that, one tiny down and a lot of ups. This summarises my entire trip so far. It is lovely all the time, but it is a real life experience too, so something unexpected can happen. A minor speedbump can occur. It are those moments when you realise how much you enjoy all the things that seem to be normal over here, because you missed it for an entire week. I really feel like a Canadian already. The people who went on this international student program before were absolutely right. Came back to my second home. looking forward to having a great grad and the third year in Canada. When I came back to Canada after having a great summer back in Korea, I was more nervous than when I was first here. Do you know why? It is because this is my grad year. I have been studying in Canada since 2015. I started from grade 10 and now I am grade 12. I will probably have a lot of schoolwork but I am pretty sure I will enjoy learning in the new school called Bridgetown Regional Community school. ( my school was Bridgetown Regional High school but they built a new building and changed the name of the school). I also feel a little bit pressured that I have to graduate the school with good grades. 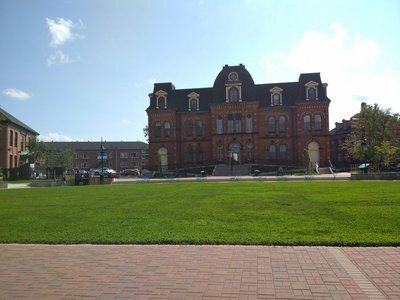 If I were here for just experience, I would not be too much pressured about my mark in school, but I am planning to go to a good university in Canada as well, so I am making so much effort to have good grades in Canada. However, this schoolwork does not bother me or make me feel super frustrated at all because I love learning things in English. I can not believe that the time flew so fast. It took lots of time for me to settle in different food, life pattern, culture and mostly time. Sometimes I felt homesick because I wanted to see my family back in Korea so much. 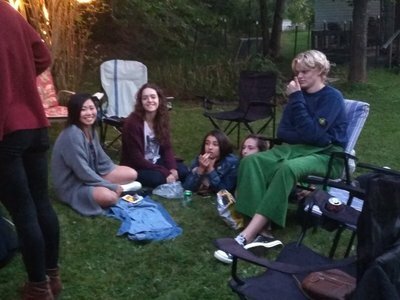 But as I started to make lots of Canadian and international friends, I started to feel home and adjust myself in this culture just fine. The hugest cultural difference between Korea and Canada is that in Canada, greeting other people on the street is very normal but in Korea we do not usually do it. That is where I started to think that Canadians are very friendly and nice. Also, In Canada, majority of people are very open-minded that they express how they feel or think about something freely. How I felt about this? ' This is the country of freedom'. Canada has taught me a lot of things and I have learned a lot of things from Canada. When I came back to Canada, there were lots of Canadian friends who greeted me with their love as well as my host family. Everybody here respects me more than I deserve so I learned how to respect other people fully here. Not to mention, by being involved in multiculturalism, I have learned that everybody is equal and should not be discriminated whatsoever. And I was very happy to interact with a lot of different people. ( I was not a racist back in Korea though. I am saying that this culture is the most awesome culture that Canada should keep forever.). Two years ago, my first year here, I was very shy so it took so much for me to make friends here but now, It has been a month, I have made more Canadian friends and became close friends with new international students. I help new international students out with schoolwork and settling in a lot because I know how it feels to have a person who helps me out a lot in unfamiliar situations, circumstances and places. Those international students are so happy that I became their friend and I am also very happy to have new friends. Sometimes I miss my old international friends who used to stay here with me but I know that I have to be focused on new friends because missing them being sad does not bring those old friends back here. I feel like I just came to Canada but almost two months have passed. This year would also pass very quickly but I have to make sure that I have good memories before I go back. I perhaps won't see these great people around me after graduation. That makes me very sad and that is the reason why I have to make lots of memories so that I do not regret the past in the future. I am very happy to share my memories here with a lot of people who are looking forward to coming here and experience Canadian culture. I also wish I was a foreign Correspondent last year, then I could have shared a lot of great memories I had last year. I will be updating my next blog the end of this month as soon as I make a great memory I want to share. Also, I will write other blogs to share good memories that I already had but not shared yet. I hope you guys have a good day and thank you for visiting my first blog! Experiences and fantastic joys and fun. "If you can dream it, you can do it", and that is what I have succeeded. Hello, everyone, my name is Tony, I'm from Sai Gon, Vietnam. 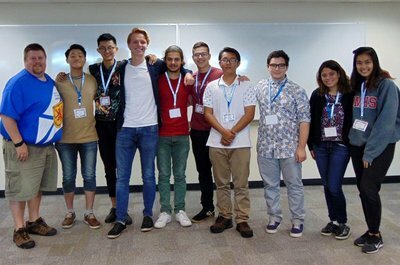 I'm 16, and I am one of nine " foreign correspondent" of the Nova Scotia International Student Program. Studying abroad and experience new kinds of things is always my big dream, and finally, I've reached that dream and take on another step. Having the first time to go study in a different country alone is really a challenge for me, and I was really nervous and scared, but that thought can't take me down, so I step on to continue my adventure. 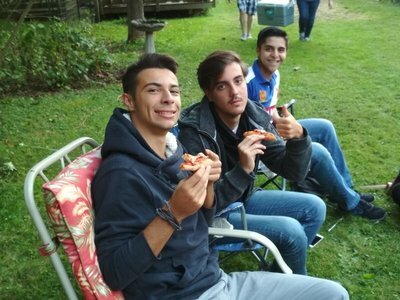 After joining the ESL camp with other friends around the world, I was really happy to make friends with them and it was a fun experience to me, we were having lots of fun together, then I met the other eight foreign correspondents, all nine of us are all from nine different countries, one is from Brazil, one is Italy, Netherland, Mexico, South Korea, Thailand, Turkey, China and me, from Vietnam. We all having ourselves get along with each other, we all have a lecture about our duty, then we introduced ourselves to the Canadian Ambassadors, who were chosen to guide us in our years in high school, after that we all went out to see the downtown Halifax, it was a beautiful town where you can go hang out with your friends and your family, it is a place where tall buildings and restaurants are open for guesses and also have the most magnificent library I have ever seen. 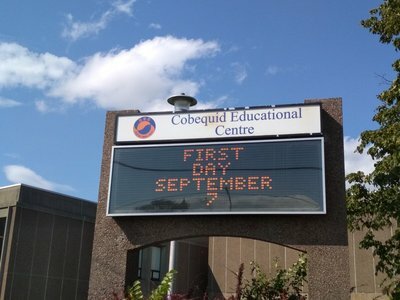 I'm attending Cobequid Educational Centre, the school which I will spend 2 years to study until I graduate. 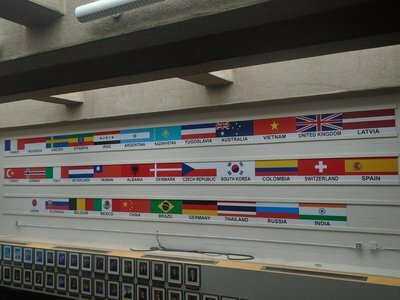 I went to a school tour with the ambassadors and other international students, there were a lot of them and they were all first time went to study abroad like me. CEC was huge, it was so huge that I got lost on the first day of school. The school offers the IB program which is the program that I will learn and graduate from it. Graduate the IB program and earning the IB diploma is my goal to make the next step to University. My school is full of amazing teachers and also amazing friends, the school had been welcomed international students from all around the world, from Europe, US, and also Asia. 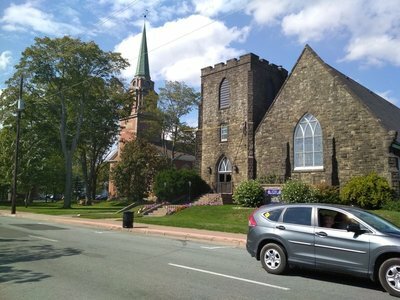 The place where I'm going to stay is a little town call Truro, Truro is a beautiful and peaceful place, the streets are clean, there are shops, churches, and markets, also pizza stores. 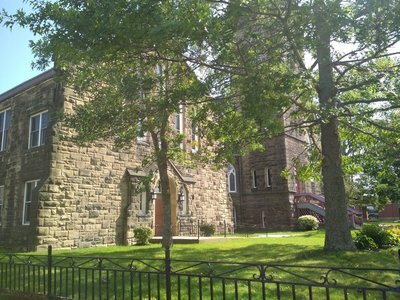 On every Thursday, the church near my school will have a free meal for everybody, me and my friends usually go there and eat together, and also, if anyone who rode this blog, if you want to eat the best chicken wings in Truro, in my opinion, go to Bubba Ray's, that is place where you can taste the best wings. 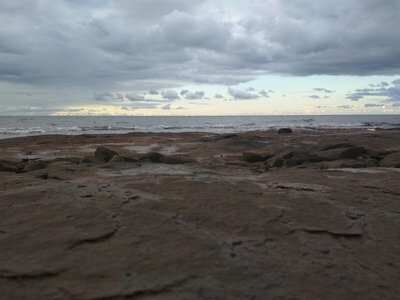 In the first week was so amazing, I and my host family went on a camping trip at Sunset watch, it was a perfect camping place, although it was kind of cold when we arrived there. 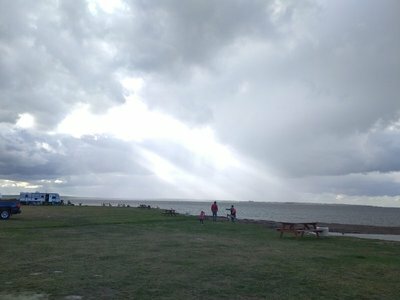 We set our trailer near the beach, it was the most beautiful place I have ever seen, and when sunset, it is more beautiful. At night, we have marshmallows and hot dog grilled on the fire camp, it was a fantastic experience for me and I will definitely be revisited again. Canada is famous for their national sport, hockey. And that is the first thing that I want to do in my "stuff to do list in Canada", to see a hockey match and see how is it be to be a hockey player. 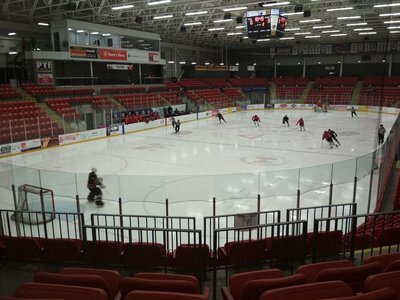 I and my family went on to the hockey stadium to see the match between Truro's hockey team, Bearcats, against the other team. The match was amazing, seeing players skating on the ice, movements to steal the puck and swing to the net, and some tackles too, but the most important things were the players, they play with all of their passion to their sport and together with their teammates. Being able to see this national sport was fantastic. 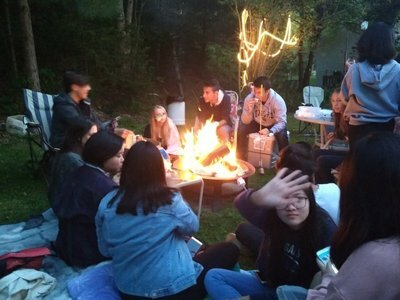 After two days in the new school, I joined with my international friends for a bonfire at one of our ambassador's house. The bonfire was fun, we had so many activities and also fun together and having marshmallows again, but I still love the texture of the marshmallows when its grilled on the fire. 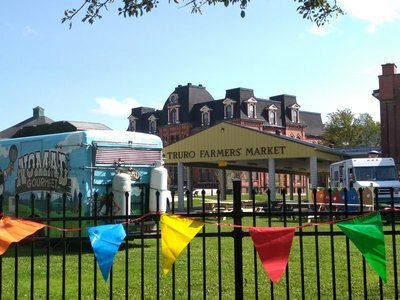 All in all, it was a great month in Truro and it will be more fantastic in the next month so I will write another one in the next month, this is the story of my life in Canada. See you guys.